The rumours have been flying around for a while and now Google CEO Eric Schmidt has confirmed for the first time that Google Me, a new Social Network will be released by Google this year. Expected to go head to head against the like of Twitter and Facebook, details are scarce at present, but we do feel the pressure is on Google to produce this time around. After Google’s recent disasters when it comes to networking, also known as Google Wave and Google Buzz they really do need to step up to the plate sooner rather than later. The social bandwagon is already in full swing and Schmidt towers is late to the party. 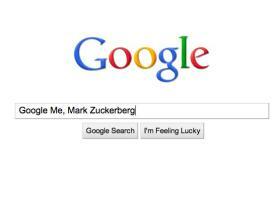 But can Google provide the next level that will be above and beyond Facebook and Twitter. They have a base in search obviously, and with Google Docs but how are they going to tempt us to sign up to another Social Network? Some kind of easy bookmarking / share options would make sense, perhaps appearing next to personalised searches and showing what your friends have searched. Given the disgust at Digg still, there could be a widening gap in the arena for something similar. Integration into iGoogle makes sense, and this would bring it up everything open my browser. But I then might be less inclined to leave myself logged in? Online games will be a main point of attack we feel, with Google recently investing over $100 million in Zynga, currently the game developers of the moment with Facebook smashes such as Farmville and Mafia Wars. But then it will really depend on their target audience…. We will obviously update you as we hear more, in the meantime, what do you think? How can Google push the boundaries and bring Social Networking to the next level? Comment below or let us know on @averagejoesblog.